We love you, and we are glad you feel so content. A quiet bubbling joy comes after a time of clearing out and calm. It is like you need to clear the space and allow it to be empty. Then from somewhere deep inside you find something new flowing in, flowing through you, like an underground stream deep in a cave. We love you, and we value you for who you are. Your path in this life has always been unique, and not always easy. Still, you saw the value of living your own truth from an early age. Now you have an understanding of life that opens up new territory to explore. It took everything that you have been through to get you to where you are now. So there is no need to apologize, or take on any feelings of guilt or shame. Each path must run its course until the soul comes to an understanding and love of itself, and a compassion for others. We love you, and we hope you will continue to write every day. Your life is so busy now but still it is essential for you to find time to center yourself each morning. The shaping and transforming of your life is in the day to day, moment by moment choices that you make. To make the right choices you need to be fully aware, calm and relaxed, and clear about what you want. You need to shed all of the limiting emotions like fear, guilt and shame. You can stay open with an attitude of gratitude, and calm acceptance of whatever happens. In this zone you will choose what is best for yourself and your family. You can heal yourself, your ancestors, and your descendants. You can affect everyone around you. And you can create an environment that supports your ongoing creativety and joy. We love you, and we encourage you to stay calm and greet each day with joy, like the birds. In this moment, this beautiful morning, you have everything you need, and everyone you love. Your worries are about things that have not happened. Your life is so blessed, still you wake up complaining. Let it go. Every moment is a miracle, and in every moment you are blessed. Come back to your center and breathe. Find your self once again. This is the foundation of your life, this wisp of air flowing in and out. This is all that connects you to the earth, and maintains your existence... just a puff of air. Breathe and you are here, stop breathing and your connection to this body will be all over. Treasure your experience of each moment. We love you, and we have the highest aspirations for you. In every situation that you experience, a great deal depends on your internal state; that is, your experience is conditioned by your own thoughts and emotions. Ten people may all share the same experince in time and space, but each one will have perceived things differently. Their individual memories of the event will all be colored by their own state of mind and emotions. As you improve your own internal state, your overall experience of life will improve also. You may still have to go through difficult experiences but you will experience them with more joy and in a more relaxed state of being. Since you have relaxed more you have become happier and more accepting of other people. We love you, and we are watching over you. Your life is a maitrix of relationships, not just with the people in your environment, but also with the plants and animals, and spirits around you. In your present living situation you have opened yourself to the natural environment more than ever before in your life. In this place you can relax deeply and trust. Use this time to experience yourself on a different level. Once again go deeper on your breath and see what happens. We love you, and we hope can find joy in every moment. Today and every day is filled with gifts of love for you and your family. Be sure to pay attention, so nothing is missed. Be watching and listening for our gifts, messages and lessons. We love you, and we hope you find a way to have it all. There are so many choices to make every day, and they accumulate over a lifetime. You tend to always choose what you think is best for your family, but you sometimes neglect to think about what is best for you. You haven't always taken the best care of your body, pushing yourself to a place of exhaustion. The choices you make now will affect you for the rest of your life. You must make healthy choices now if you want to be healthy in your old age. So we encourage you to be more committed to your own wellbeing. We love you, and we are glad that you are getting stronger. Making healthy decisions day after day will make a huge difference to your physical condition. You are gradually achieving a state of deep relaxation and being very present to the moment. The mind cannot take you there. When you are deeply relaxed the mind must let go and be silent. From there you can go deeper just riding on your breath, let go of expectation, (the mind will still try to make it into something). If thoughts arise you do not need to hold onto them. We love you, and beauty is all around you. How wonderful it is to be able to live in the natural world. It is your true nature to be as wild and free as the deer and the birds. You are part of nature in all the same ways that the animals are... you breathe, you walk upon the earth, you eat and sleep just like they do. The only thing that makes you feel different or separate are the creations of your mind. It is not the body that needs to be tamed, it is the mind. We love you, and we love your enthusiasm for life. When you open up the door to spirit you can expect many happy surprises. By staying calm and open, even when things seem difficult, you make more powerful and interesting solutions possible. Today is yet another chance to live the life you love with awareness and eager anticipation. Be open to the many gifts coming your way. Trust that solutions will be found for every challenge that comes up. You are a child of God, and we are always here for you. We love you, and miracles are happening. You are waking up to who you really are. You are experiencing the deep joy of your life just as it is. You see that deepening in place was needed more than change... getting to the heart of the matter, getting to the core of your life. In that place where miracles are created new seeds are growing. Possibilities appear out of nowhere. Within you new ideas and relationships germinate. You are the observer, the nurturing spirit tending the garden, the loving mother protecting her young. We love you, and we are happy to help you any way we can. You are being tested in many small ways to help you learn about staying centered. Life is a tremendous gift, and a beautiful miracle. You are receiving gifts everyday, sometimes in new and surprising ways. Be open to receiving all that is given with gratitude. Be open to letting go with gratitude to the things that leave your life also. Let it be all the same, with you at the center, watching. Each time you breath in you receive, and then you let go as you breath out. It is the rythm of this life. We love you, and we celebrate life with you. No matter what happens, we will be with you. Don't be afraid to rest, or to say no to things that don't interest you. Trust that you are the best one to know what is best for you. Stay at the center of your life. We love you, and we watch over you. Nothing can happen that is not part of your learning process. Everything that happens is part of your evolution. You are doing fine. Writing every day is a great way to keep your spiritual growth in the forefront of your mind. Frequent reminders are good. And hopefully in the course of one day you won't get too far off center before you return to a state of calm watching once again. It is important to maintain the overall sense of wellbeing you have achieved. We love you, and we treasure the close relationship we have with you. With each day you have been getting stronger, and more relaxed at the same time. Your internal tensions have been there for a long time. Now you can begin to release yourself from the grips of fear, guilt, shame, and trying to do everything for everybody. Now you can just be. You are all that you need to be. You must pay attention to your feelings about your work. Things have changed, and you are aware of a need to have more freedom to develop new ideas. We love you, and we want you to think of being relaxed as your normal state of being. When you catch yourself waiting to relax, or being to busy to rest, choose to relax right then. Just let it go. You can accomplish a great deal by letting go. Let go of tensions, negative emotions and thoughts, possessions you don't need, and don't want. You can free up huge amounts of your vital energies this way, and you will have more energy for the things you do want and need in your life. Don't allow things to cling to you that are not an energetic fit. As you get clearer and more relaxed you will have a stronger sense of your true nature. You are doing very well right now! We love you, and we are glad that you are finding a centered and relaxed way to be. Let this be your normal state that you return to again and again. Being relaxed and well rested has improved your relationships, and the quality of your work. You will live longer and be healthier with this state of beingness. We love you, and in all ways wish you well. We are friendly. You are getting better at sensing our presence and hearing our messages. You have relaxed a lot, and have more time and attention freed up for tuning into your environment. As you relax and let go of being busy you will become more aware of your inner life. We love you, and appreciate you for who you are. You are now learning to sense when you are tired, and when you need exercise. You have been conditioned by years of work and school to ignore your own tiredness, restlessness, and other tensions, and just keep working. Now you are paying attention to how you feel, and taking care of your needs for sleep and activity. This is resulting in a more relaxed and rested body, and a more alert mind when you do sit down to work. This is a very good beginning. We love you, and we enjoy our communications with you. You are so blessed to live in a beautiful place. You are so blessed to have a beautiful family. You are so blessed to be strong and alive. Your reality is not real. It is shaped by your perceptions, your thoughts, and your emotions. What you call reality is constantly shifting and changing. It is much more fluid than your perceptions allow you to believe. It is only by slowing down your internal dialogue that you can become aware of the activity of your mind. You are fairly aware of your responses to external things, and now as you are moving your focus inward, you become more aware of your internal responses. 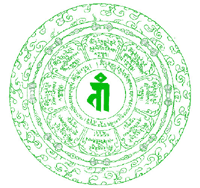 Tensions in your body, and in your mind restrict the flow of chi to your internal organs. Your tensions become like a barrier, actually preventing you from really sensing yourself as part of the environment that flows around you. More and more tension makes it more and more difficult to have authentic interactions with others, or to sense subtle messages from your guides, and from your body. That is why we have been encouraging you to find ways of being that are peaceful and easy to maintain. Reducing the tension will open up a whole new world inside yourself. We love you, and we are here to support you in becoming more mindful, and more relaxed. When you are fully relaxed you actually become more aware of your environment, and more able to process the information of your senses. Your intuition is more able to pick up on subtle information in your environment. If you watch an animal like a cat you will see how they move between states of high activity, like hunting, and states of quiet alertness in which they lay perfectly still, but the senses are picking up on everything around them. We love you, and you never stand alone. Relaxation is a misunderstood concept in your society. It is regarded as something you do after working, or exercise, etc. But what you need is a relaxed state of being to carry you through the day. The body should be free of tensions, and the mind should be calm. Relaxing inwardly, returning again and again to your center, this is a way of being that will serve you best. Handle the stressors in your life, resolve the problems, and let them go. Keep a list, and get things handled. Reduce life down to the simplest path you can walk to free up your time and energy, and prepare to go more inward. You can maintain a simple life without much stress, and enjoy yourself much more. We love you and we hope you understand all of the lessons you are working with right now. Relaxing and destressing are so important as you explore a new way of being in the world. Part of it involves letting things resolve on their own. For too long you have been quick to jump in and try to resolve all issues yourself. You take on too much. Now it is good to let others take some of the responsibility, and we will help you also. Your main objective needs to be staying calm, centered, and slightly more inwardly focused. You need to first take care of yourself, and your immediate environment. Let the rest of the world take care of itself for the present. We love you, and we watch your progress with interest. Fear is another emotion that you can let go of. Your fears have nothing to do with reality. In fact they are creating the problems that you are so afraid of. You are much bigger than that, much more than that. You are much more than all of the bills you have paid, or not paid, or all of the money you have earned, or not earned. Fear should never be your prime motivator. Breath from your center, and wait patiently until you are clear about what you doing. Then take actions that are worthy of who you really are. Who you really are is so much more than what can be put into words, and your work is so much more valuable than any dollar amount. Think of Van Gogh... no one ever bought his paintings while he was alive. Now think of what he might have earned if he got minimum wages for his work. Now think of what his hourly rate would have been if he was paid at a rate commensurate with the current value of his paintings. What you can do with your talents is worth a great deal. Don't compromise yourself, or believe that you can be diminshed by money, or the lack thereof. You are not the money you earn, or the bills you pay. Remember we are always here with you. We love you, and we congratulate you on your efforts to stay calm and detached under circumstances that are less than ideal. Letting go of negative emotions… guilt, shame, fear, anger is something you may have to do over and over again as different thoughts and emotions are triggered by different events in your life. If you can identify the feelings as they appear and just let them go. You can remind yourself, “I’m not doing shame any more.” And just let it go. Stop the negative thinking as soon as you can. Also, you often feel like you have to quickly jump in and solve every problem for other people. This is not necessary, nor is it always in their best interests. Whenever possible, allow them to resolve their problems themselves. And you also should try to resolve your own problems without involving them. We love you, and we love to watch you change and grow. Life is meant to challenge you, and give you learning opportunities for new growth. Whatever is happening you can assume it is for this purpose, and no other. Therefore the appropriate response is to pay attention and react in an appropriate way. Don't waste time getting angry, or feeling victimized. Since your energies created the situations you find yourself in there is no need to blame anyone or anything else for your problems. You can also take credit for the good things that happen. Think about some of the situations you currently are dealing with. Look at your emotions and thoughts around the issue... this is what keeps it in place. Keep discarding these reactions until you can see the problem clearly for what it is. Now ask for help, and be open to a solution presenting itself. We love you, and we hope you enjoyed the light show last night. Do you have the courage to get to know us? We are here, present and around you. Are you ready to shift your reality to accommodate us? There is so much going on around you that you are not fully aware of. You just see hints of their existence - like the deer in the woods. You see their tracks, but you rarely fully experience them. Even the people who live around you, you catch glimpses of them but you don't really know them. At some point you decide they are relatively harmless. You were thinking tonight that the universe is friendly. We love you, and we want to inspire you to do well in your life. Remember when you first asked for help you wanted to raise your consciousness to a new level in order to resolve certain issues in your life, like having more money, and improving your physical condition. Those changes are now in progress even if the shift seems subtle at first. Even a slight change towards better nutrition and more exercise will result in better physical conditioning over time. We love you, and in all things we wish you well. You are relaxing and opening up to your life in new ways. It takes time to fully relax and be present when you are just letting go of a busy scheduled life. In nature you will discover a way of just being that is enough. It is enough just to be, and to be calm, observing the world just as it is. You can experience deeper levels of understanding just by letting go of all your thoughts about what you already know. We love you, and we are glad that you are listening to your body. In terms of your health you know what is best for your body but you don’t always choose it. It is important to pay attention to the whispers before things go too far. What is your body whispering to you now? Do your best to make the right choices. We love you. We love you, and we take a personal interest in everything that you do, and every choice that you make. Each day is different, even though to you it may feel like you are doing the same things over and over; there are always new challenges and new choices. Even if the same problems present themselves day after day, you can choose to react in a different way. It is in those subtle reactions to things that irritate you that you can choose to just breathe, or choose to relax, and respond with love. We love you, and we share your love of spring on Earth. Renewal is a great blessing. Times of letting go, and times of rebuilding give you a chance to shed the old and rebuild life anew. As you know your body is constantly in a process of letting go and rebuilding cells. All kinds of healing are possible through letting go. Letting go of guilt, shame, sadness, regret, and anger creates a clear space for new growth. Old emotions become toxic and need to be cleared from your system. Keep clearing everything from your personal environment that is not ‘you’. Only keep the things that have a strong positive resonance for you. At the same time release any negative thoughts or beliefs about yourself. Just let it go. You will be amazed at what opens up for you. We love you, and we celebrate another glorious day with you. There really is a sense now in your family that things are on the right track. Everyone is happier and more relaxed. Each day feels like a celebration, and that is how it should be. Life is a joyful celebration when you are totally present to the moments as they come. Allow yourself to experience the miracles of being alive, having a body, and all the wonder of creation. Nothing in your life is boring or humdrum if you really see it for what it is. Nothing is static or permanent. Life is an amazing journey, a continuously shifting dance. Who you are being sets the tone for everything that happens around you. People, animals and plants are very responsive to your body language, the tone of your voice, as well as the ideas you set forth. On a more subtle level the other things in your environment respond as your personal vibration shifts. Have fun playing your way through today. We love you, and we understand how things are for you. It will take some time to adjust to your new schedule. As you get stronger it will get easier for you. Take optimal care of your body as it is the only one you have. Eating lots of raw fruits and vegetables has always been a great diet for you. If you find out when the local farmers markets are you can shop there. That will be fun and nutritionally better for your family. Make lots of smoothies and salads. We love you, and we hope you see the wisdom of maintaining a relaxed state of mind. Pay attention to the whispers of your soul and you will avoid all kinds of trouble down the road. If you are calm it is easier to pick up on subtle changes in your own energy, and in your environment, and to respond to them appropriately. You remain quiet but ready to respond. We love you, and we acknowledge your efforts to make things work... you are adaptable. Change comes in every life. In fact change is constantly happening, as no two moments are ever exactly the same. You must continually adjust to whatever comes. Resistance makes it difficult to adjust to change without being thrown off balance. That is why a calm and centered state of being is the best way to be prepared for life. From a calm place you can make better choices. Even if you get thrown off balance for a moment you can return to your center again. Practice remembering to breath instead of reacting with upset when your anger is triggered. We love you, and we are happy to see you living more in harmony with your life. You are waking up to more joy, and more possibility. And this will increase as you relax and get more in touch with yourself. Stress comes about when you are forcing yourself to do things you don't really want to do. This is a big source of stress for most people. The antidote of course is to spend more time doing the things you love. Choices you make to simplify your life will result in more free time to explore what works for you. It always boils down to the choices you make. We love you, and we hope you see the wisdom of living a quiet life without too much stress. Being peaceful has really helped you to find yourself, and to hear our voice. It is easier to let go of the things that aren't "you". once you get very clear about who you are. The important thing is to love the people you are with, and to make sure they know how much you care for them. You wonder if you should get involved in some kind of volunteer effort. If you see a need and you want to respond to it, of course. But there is no need to force the issue. The challenges that are yours will come to you. We love you, and we wish you well. We are happy that you are beginning to accept whatever happens as being for your own good. This is a beneficent universe. We are here to help you. Part of staying relaxed and open is knowing that it is all part of a divine plan, a divine play. When someone is playing tennis they don't get mad at their opponent for lobbing balls at them - they jump in and respond to each ball as it comes across the net. Decisions must be made quickly to keep the ball in motion. You need to be alert, and present in the moment with a calm and accepting attitude towards whatever comes to you. We love you, and we want you to have an abundance of all good things. Your life is very full right now, but you can be assured that we are looking out for you every minute of every day. You are blessed with an abundance of angels! You are becoming more aware of how you spend your time, and how important those choices are to your overall health and well being. Breath gently until you are in a calm and relaxed state. Let go of any worries or thoughts. We love you, and we are glad that you are learning to trust in life as a blessing. Each day brings its challenges, and you can try each day to be more mindful of how you choose to act, and what you choose to say. Often you react with anger or harsh words without even thinking. The ego is very reactive. This is normal. Just recognize it for what it is, and it will disappear. Plug into your breathing rather than your ego. Observe where you are reactive. Conscious breathing allows you to let go of the emotions and thoughts that caused the reaction. This can be taught to children also. We love you, and we want you to enjoy your life. Happiness is very important for good health. How is it that one person can be so happy with just a little, and another person cannot be happy who has plenty? Happiness has to come from inside of you, and be maintained by your happy thoughts and feelings of gratitude. Happy feelings are calm, acceptance, gratitude, joy, feeling loved, feeling lovable, feeling loving, wonder and enthusiasm. You are able to catch yourself sooner now when you spin off into an unhappy emotion, and bring yourself back to your center just with your breathing. It is getting easier to maintain that calm center as a reference point, and to come back to it by letting go of an upset and breathing for a few moments without any thoughts. Longer periods of calm gives your body a chance to heal from stress and let go of tension. We love you, and we thank you for being so enthusiastic about your life. The human experience is nothing short of a miracle. As you appreciate the beauty of the earth you send deep messages of love and gratitude to your soul. You were taught to be very cautious about showing approval and enthusiasm to other people. You can let that go. You are surprised when you see other people able to open up, and openly express their feelings. There is much to heal in your family. And it begins with you. We love you, and we are happy that you are feeling that we are real. You know that some things have changed in your life. 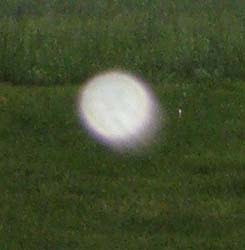 The orbs are appearing very frequently in your photographs in many different settings. Your writing has changed completely. There is a kind of internal knowing, and you have felt the shift in yourself and in your life. You are prepared to let go of many things that you were clinging to before. Your interests are shifting. You are aligning yourself with a frequency that is different from your previous alignment. This will open up many new possibilities for yourself, and for your family.